Having houseplants can add brightness and help soften a home's decor, but many people aren't aware of the health benefits they provide as well. Houseplants help to naturally filter toxins and dust out of the air, they increase relative humidity and provide a constant source of oxygen. Keeping houseplants alive and thriving can be a struggle for some people though. 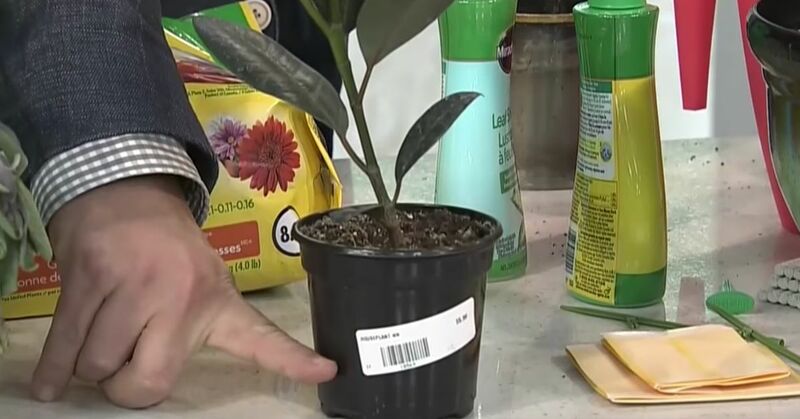 Some basic tips and tricks can help even those with a black thumb successfully care for houseplants. Houseplants, just like outdoor plants, have specific light requirements. To faciliate good growth make sure plants are placed in a location that provides the amount of light they need. Plants don't need to stay in the not-so-attractive plastic containers they are sold in. Feel free to move them into something that matches decor, or is more suitable overall. Keep the pot size relative to the size of the plant; pots that are way too big and pots that are way too small are both probematic. Make sure pots used for houseplants have adequate drainage holes in the bottom to allow excess water to run out. If roots stay "soggy" they may succumb to root rot or other fungal disease, potentially killing the plant. The most common mistake people with houseplants is actually watering them too often. Check to see if the top 1" of the potting soil is dry to the touch before watering. Growing plants inside doesn't exempt them from pest problems, although they tend to have less problems with insects than outdoor plants. To catch problems early it's important to regularly check plants for visible pests and treat the infestation quickly. OurHousePlants.com differentiates the common houseplants pests and tells how to effectively control them. During the active growing seasons (mid-spring through mid-fall) it's important to feed houseplants regularly to promote vigorous growth. Many homeowners choose to feed them very light fertilizer solutions every time plants are watered. When the day lengths shorten and less sunlight is available, plants will slow down their rate of photosynthesis. In turn growth will slow correspondingly. This decrease in growth means plants need less food. Many houseplants are fine not being fed from October through March. Houseplants do not like drastic changes in temperature, whether it be drops or raises in temps. Avoid putting them where they could feel drafts from doors, windows, and register vents. Due to dust and debris in the air, the foliage on houseplants will become dirty over time. Periodically use a damp cloth to gently wipe leaves, removing this builup. Using hard water to water houseplants, and fertilizing on a regular basis can lead to an accumulation of salt buildup on the surface of the potting soil. If levels reach high enough, it can cause salt toxicity. To prevent this from happening follow the steps at Healthy Houseplants to leach the excess salts from potted houseplants. Over time the organic matter in potting soil can break down, leaving a growing media that has little nutritional value for plants. To keep plants thriving, replace or refresh the potting soil every couple of years. Every year or two, it's important to move growing plants into larger containers. This keeps the root systems from being too crowded or compacted (i.e. rootbound) in the pot, hindering growth.